At Bathrooms 365, our focus is clear, providing the best utility products to our customers. That’s why we stock a huge range of shower sets, which take away the hassle of finding individual items such as shower heads, valves, and shower arms. Just like bathrooms suites, these complete shower sets, include everything you need and in various combinations; select as needed. In general, these include a valve, rigid riser, hose, shower heads and handsets. The valves are the control of the unit and can be thermostatic or manually adjusted. 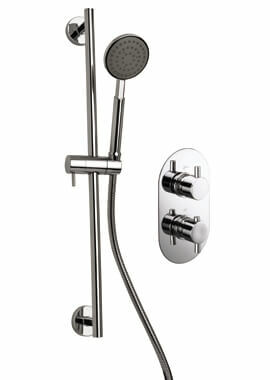 We have a range of modern, traditional, concealed and exposed shower sets, all within budget. We also have the high-end luxury ensembles that are superior in design and style and perfect for luxurious settings. 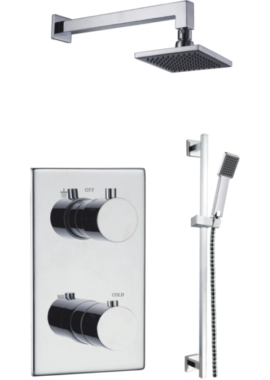 With a stunning range of products, we know we have the right shower set that you need to make your bathroom functional.